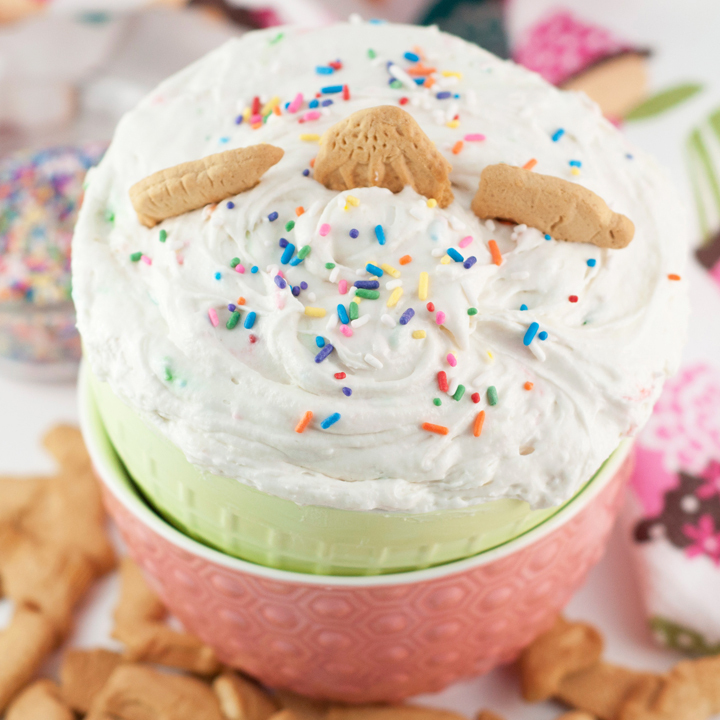 Dunkaroo Dip recipe is the easiest dessert dip there is and made with just three simple ingredients. It is perfect to serve at a party and tastes just like the beloved Dunkaroos snack we all loved as kids! Mix all of the ingredients (except for the extra sprinkles) together in a bowl until completely combined and no lumps remain. Chill in refrigerator for at least two hours (dip will be too soft without doing this step). Garnish with extra sprinkles for a pretty presentation. Serve with animal crackers, teddy grahams, pretzels, graham crackers, apples or Nilla Wafers. Using a variety of dippers would be the best option. Enjoy!